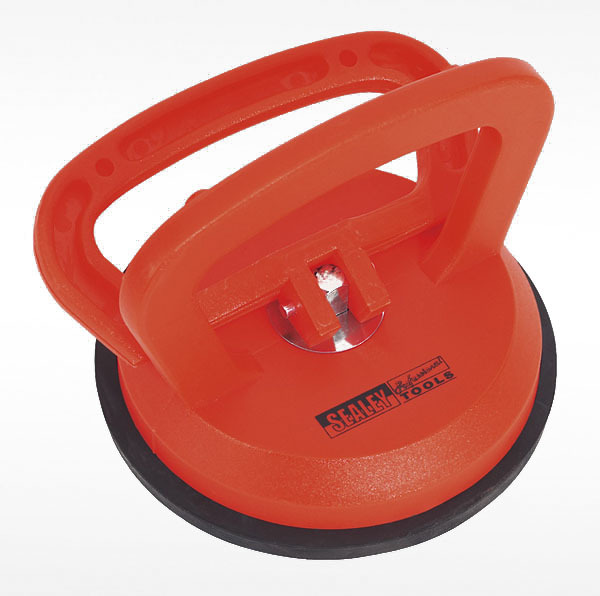 Three Ø120mm rubber suction grips prevent damage to surface. 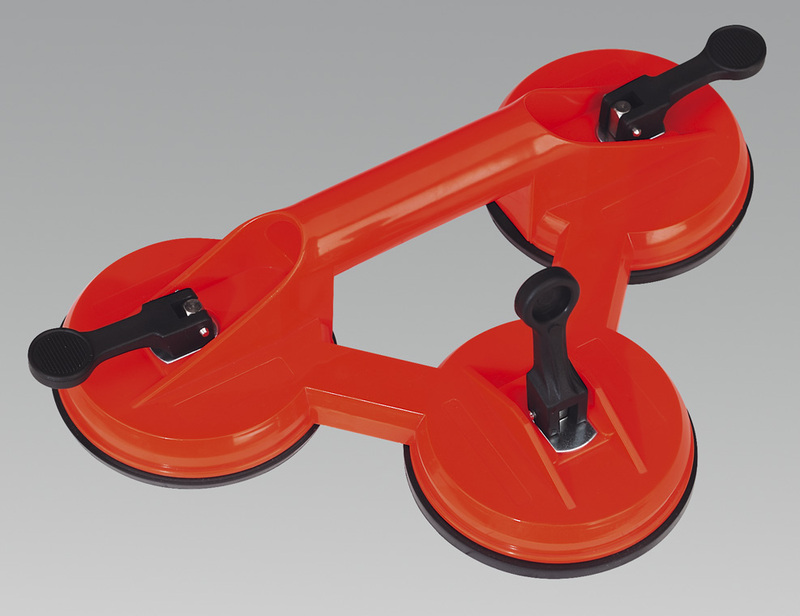 Designed for handling material such as glass, tiles, plastic, sheet metal and other non-porous material. Push lock levers for easy operation. Holds up to 60kg in horizontal position.